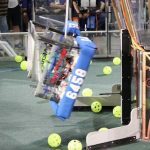 The Forces of Atlantis won the Champions Award at the BC Lower Mainland Regional Tournament in British Columbia. From there they were invited to the FLL Open in Tallinn Estonia on June 6-8. Here’s their story. 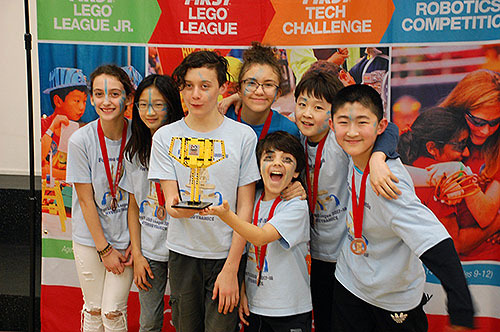 We the Forces of Atlantis 33968 are an FLL team from Norma Rose Point School and we have competed in the BC Lower Mainland regional tournament and the BC Championship in Victoria in February of this year. We were honoured to receive the 1st place Champions award at the regional and the Gracious Professionalism award at the Championship. 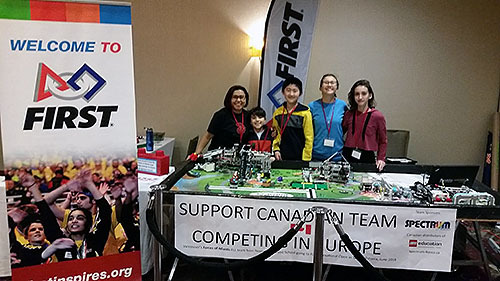 At the Championships in Victoria we were super excited to hear the news that the FLL International Open organizers invited us to participate in the FLL Open in Tallinn Estonia on June 6-8. While we were thrilled we knew we had to start fundraising soon! Luckily we have had lots of opportunities to fund raise with putting on bake sales, pro-d day robotics camps and door to door fundraising. Recently we had the opportunity to go to BrickCan and showcase the FIRST LEGO League Hydrodynamics Field Set, Table and robot missions with our trusty robot, Festus! BrickCan is an amazing exhibition of LEGO creations by adult fans of LEGO from around the world. It was held at the River Rock Hotel in Richmond, B.C. We had lots of fun at BrickCan! For the majority of the day we worked on our robot missions and talked to visitors asking us about FIRST LEGO League and our team’s upcoming trip to the FLL Open in Europe. At some points we were able to go around to look at some of the other amazing exhibits. On the two days we were there, we saw 100’s of people come by our FIRST LEGO League booth which was right next to the LEGO play area. Our team members had lots of fun joining in on the LEGO trivia games and winning LEGO sets! Our team would like to thank the BrickCan organizers for allowing our team to participate. It was a great opportunity to get work done while spreading the word about FIRST LEGO League and other FIRST Competitions. It allowed us to demonstrate part of what the competitions are about and to interact with LEGO fans from all around the world. We would also like to thank FIRST BC for their posters and banners they kindly provided for display, and for the generous people who attended this event and donated to our team to help us reach our goal to go to Estonia. We are nearly past the half way point for our goal, so please help us get there by going to our GoFundMe campaign. Thanks for your support! !